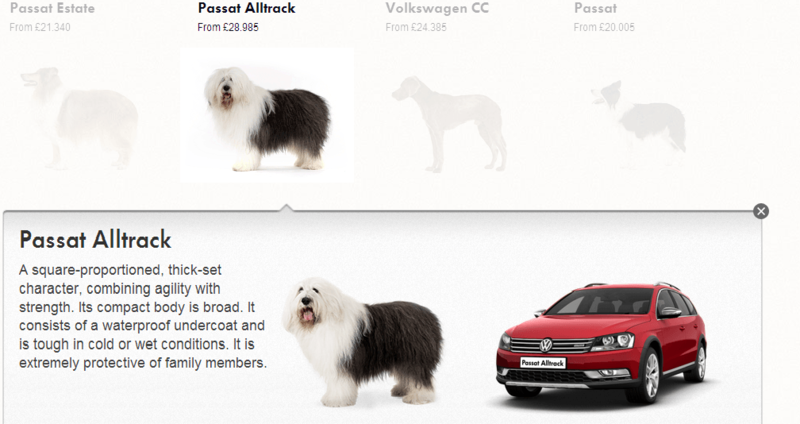 Following the trend of integrating social media with traditional ads, Volkswagen UK has introduced a new advertising campaign targeted at dog lovers. The campaign, which premiered during the UK’s X Factor on October 19, leverages a variety of cute dogs to showcase the company’s breadth of vehicles. While clever and engaging as an advertisement alone, what’s unique is how the company pulled this campaign through to its digital and social channels. To bring the campaign to social media, Volkswagen UK introduced the hashtag #woofwagen on Facebook and Twitter to bring dog lovers into the campaign. The use of the hashtag has proved effective on Twitter, while the hashtag on Facebook offers an interesting look at the suggested post copy the company is giving to its dealership network to activate the campaign on a hyper local level. 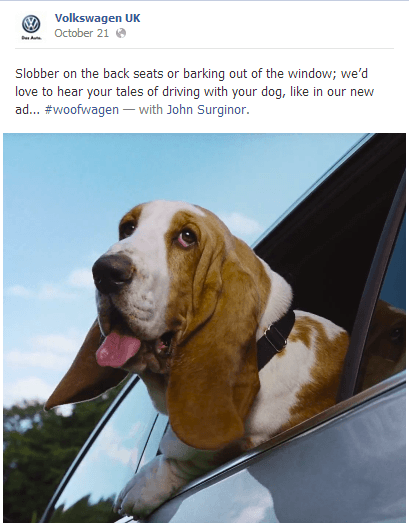 The campaign has been supplemented with six-second dedicated videos on the Volkswagen UK YouTube account for several of the dogs featured in the TV spots. Although each of the videos are six seconds, there’s no activation on the company’s Vine account yet, which seems like a logical extension in the future. Overall, this campaign brings up the ongoing debate regarding the role of social media in advertising. We’re in a time where hashtag call outs in traditional advertising are the norm, but it’s clear that not every TV spot is meant for the social media spotlight. There’s also the fear that your fans may not want to see a TV ad posted on your company’s Facebook page. On the other side, many TV campaigns are now being designed to spark social sharing and conversation. For a brand like Volkswagen that consistently delivers with creative, engaging advertisements, you have to wonder if we could be heading in that direction? If you can predict that a spot is going to be popular with your consumers, activating a second screen experience across social media where people go to share and discuss information is a good way to amplify the campaign. 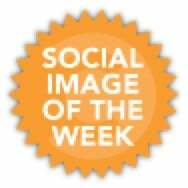 In reviewing Volkswagen UK’s recent TV spot and social response, the answer seems to lie in knowing your social media community. Understanding what type of content motivates your community to respond, engage and share – however simple that may seem – makes the business case. And hey, if that content can also include puppies or dogs, you may just hit a homerun.